In celebration of Muni Art 2018, hear a reading by participating poet Brynn Saito at the San Francisco Public Library West Portal Branch. Bay Area poet Judy Halebsky will introduce Saito. Audience members will be invited to enter a raffle and the winner will receive a Muni Art 2018 print! Share your experience using #SFMuniArt. Brynn Saito is the author of Power Made Us Swoon (2016) and The Palace of Contemplating Departure (2013), winner of the Benjamin Saltman Poetry Award from Red Hen Press and finalist for the Northern California Book Award. She also co-authored, with Traci Brimhall, Bright Power, Dark Peace, a chapbook of poetry from Diode Editions. Her poetry has been anthologized by Helen Vendler and Ishmael Reed; it has also appeared in the New York Times Sunday Magazine, The San Francisco Chronicle, and Virginia Quarterly Review, among other journals. 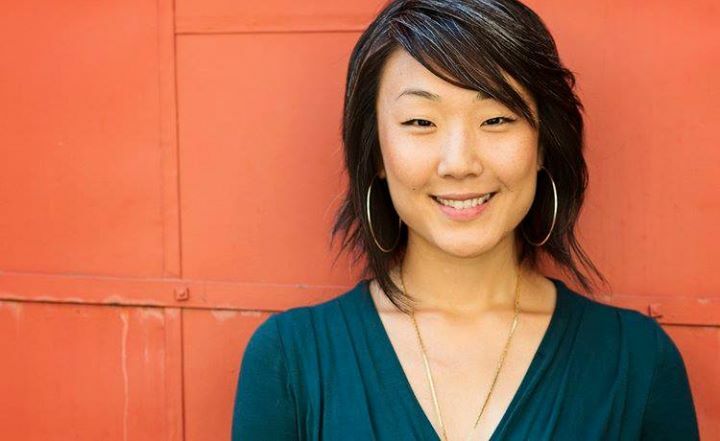 She is the recipient of a Kundiman Asian American Poetry Fellowship, a grant from the California State Library’s Civil Liberties program, a Poets 11 award from the San Francisco Public Library, and Key West Literary Seminar’s Scotti Merrill Memorial Award. Co-Sponsored by San Francisco Beautiful, the San Francisco Municipal Transportation Agency, San Francisco Public Library, and the Poetry Society of America. Header image: Brynn Saito. Photo by Whitney Frank Photography.